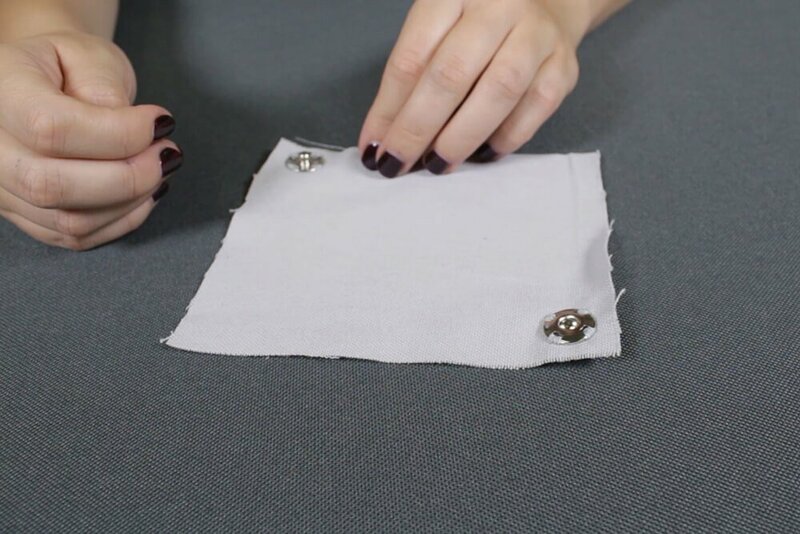 The basic use for sew-on snaps is to hold overlapping edges together. They are nickel plated brass and come in various sizes. There is a flat surface on one side and a rounded surface on the other. 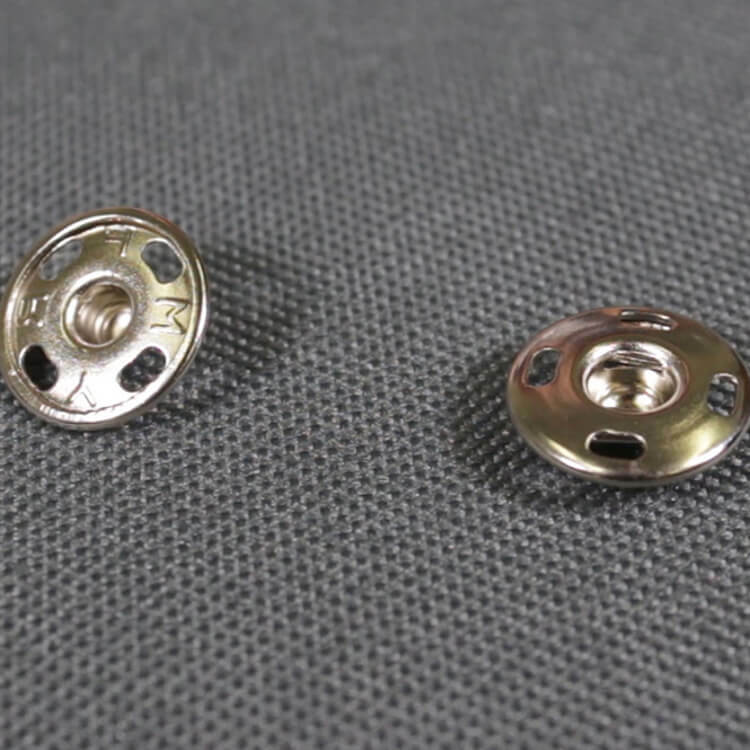 These snaps are found in a lot of hand bags, coin pouches, and can also be used in apparel. From the back, push a threaded needle through so it comes out one of the 4 holes on the edges of the snap. Go in and out of the fabric several times to wrap the thread around that side of the snap. Then move on to the next hole and continue until the snap is attached on all 4 sides. Knot the thread on the back and cut off the extra. Do the same for the other half of the snap. I learned to sew snaps using a buttonhole/blanket stitch for a cleaner look. Is that no longer used for snaps? BEST ANSWER: This is just the simplest way to do it, but you can certainly do it other ways!